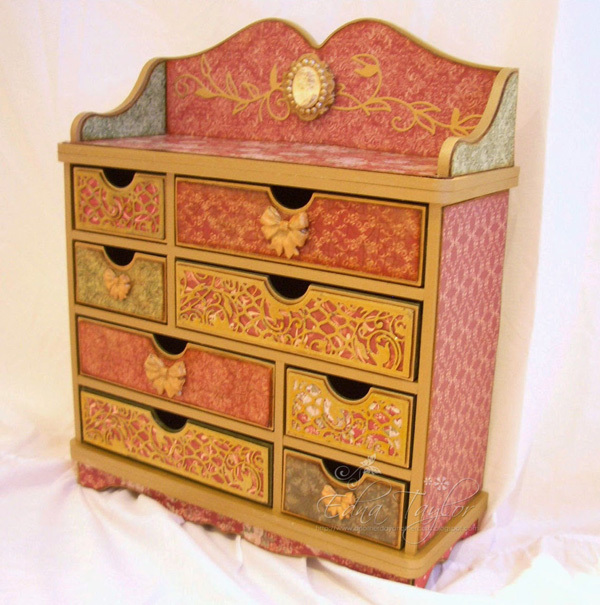 Don't forget to watch the stunning Forever Moments MDF units from Tonic - on Create and Craft tonight at 8pm. If you liked the Tivoli unit you are going to love the Verona. 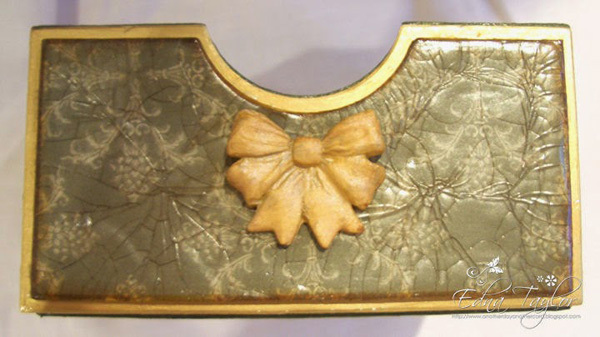 It is a beautiful piece and has a gorgeous layout that you can vary to suit your needs. I loved the size of the drawers - so useful for so many little treasures. 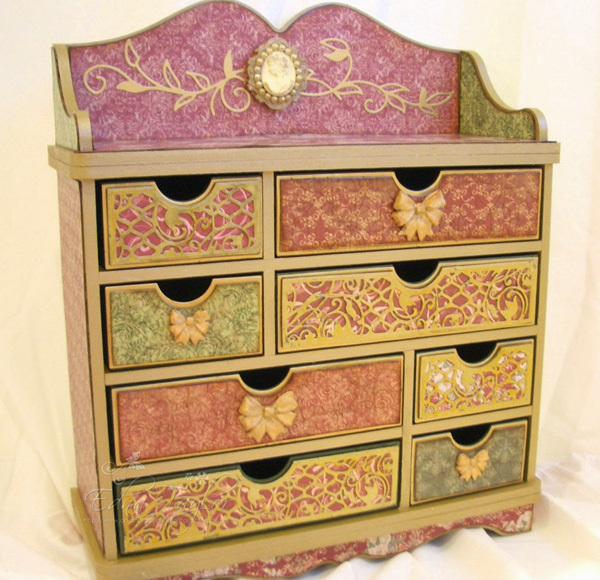 The drawers without the die cut decoration have been crackled with Forever Moments Crackle base and Vintage Crackle top coat. When they had 'crackled' I rubbed over the surface with gathered twigs distress ink to show up the cracks a little more. 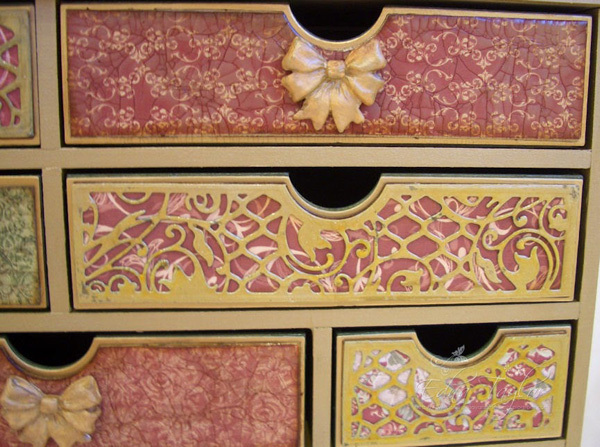 For the die cut decoration on the other drawers I have used chipboard painted with the Nuvo Gold paint and triple embossed with clear embossing powder. As a bonus the embossing discoloured slightly here and there and gave me the perfect aged look without any more techniques being needed. I did rub over the surface with some black soot distress ink but it wasn't really necessary. I'm sure you will agree it is a beautifully decorative piece - I can't wait to make one with some of the new vintage papers also being launched today. Don't forget to tune in for lots more ideas!